Nothing says John Hardy like the Classic Chain collection. This bracelet is meticulously handcrafted, link by link, to produce a drape that slides elegantly around the wrist, and the small station that is engraved with the classic chain motif keeps this piece streamlined beautifully. It also serves as the clasp. 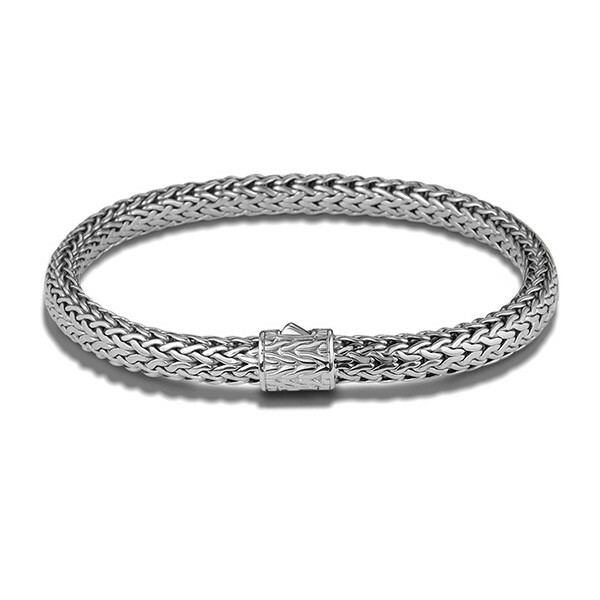 This John Hardy bracelet is a great piece when worn solo, and it adds panache when layered with other John Hardy pieces.